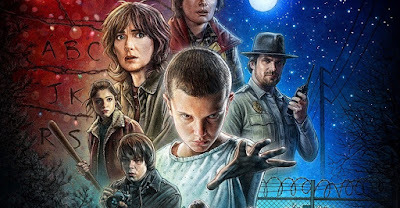 A love letter to the supernatural classics of the 80's, Stranger Things is the story of a young boy who vanishes into thin air. As friends, family and local police search for answers, they are drawn into an extraordinary mystery involving top-secret government experiments, terrifying supernatural forces and one very strange little girl. Available now through Netflix streaming.